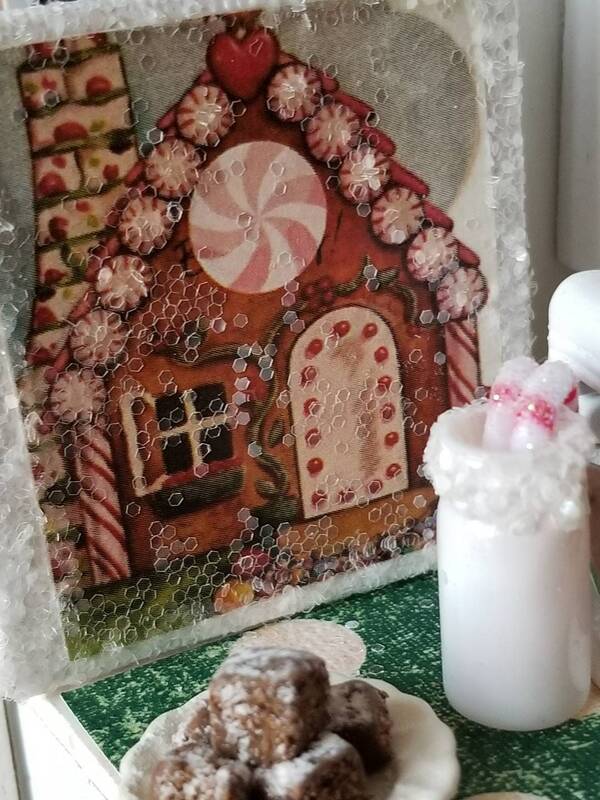 Miniature Gingerbread Sign Canvas Art 2" x 2"
Vintage Gingerbread house art has been adhered to a small 2" x 2" artist canvas. 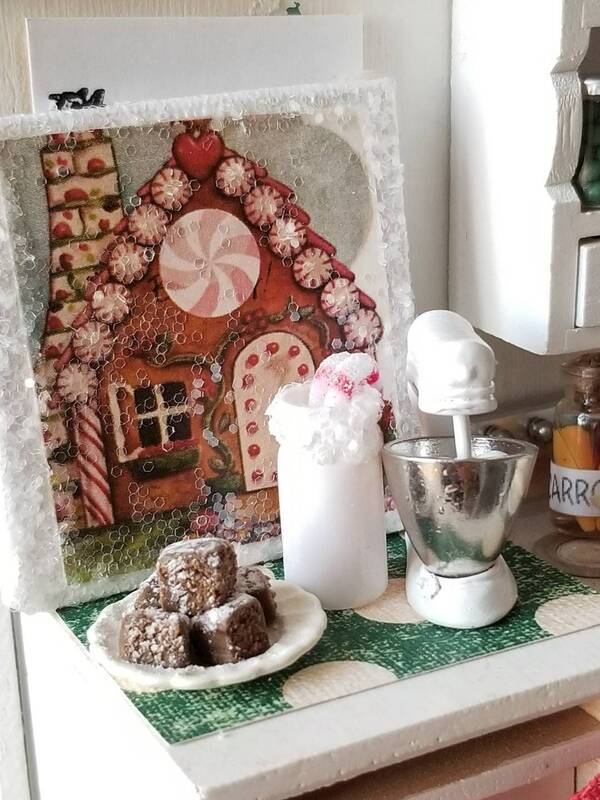 Little areas have been embellished with white glitter. 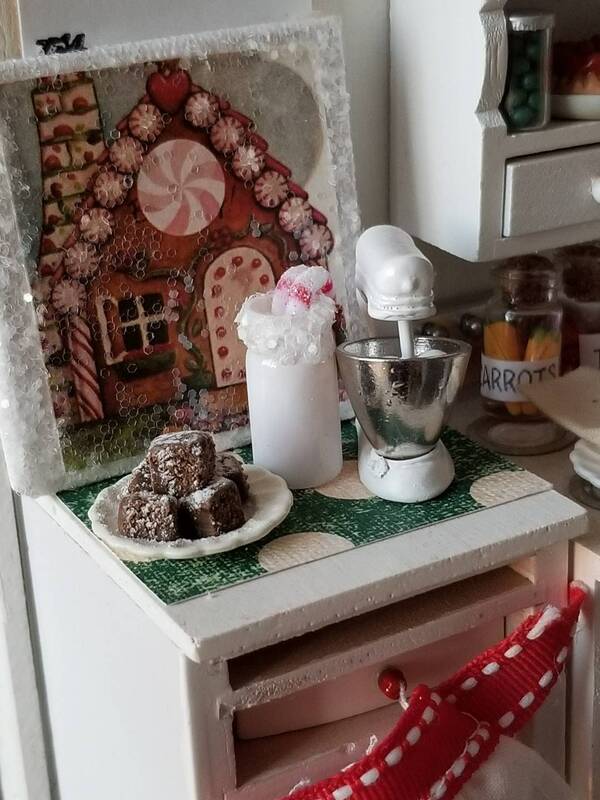 Other items in picture are photo props and not part of this listing.